For the next 100 minutes, McGuinn treated the two-thirds full theater to a stroll through his back pages, or, more specifically the music that influenced the sound of the Byrds and his songwriting. It took McGuinn half a hour to work his way up to the rock and roll era. He explained a reworking of “Jesu, Joy of Man’s Desire” ended up as “She Don’t Care About Time,” a Byrds b-side, sang a sailor chanty, a spiritual and paid homage to Woody Guthrie and Lead Belly. He also used his own “Chestnut Mare” as an example of the cowboy songs from the old West. These performances were interesting as a musical history lesson, but the show didn’t really take off until Elvis entered the building. Calling the transistor radio the iPod of its day, McGuinn explained how the portable radio freed him from having to listen to his parents’ music (and vice versa). The thrill of watching Presley inspired McGuinn to get his first guitar. 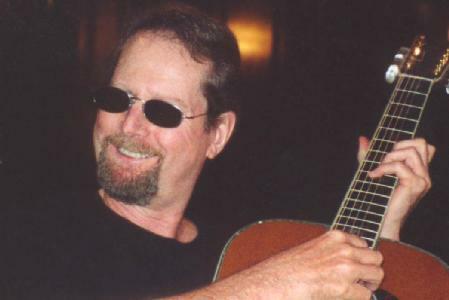 Now inspired, McGuinn told the audience about his lessons at the Old Town School of Folk Music in Chicago, where each week not only was a new song taught but several different styles of playing it. From there he took the crowd on a expedition through the Limeliters and Chad Mitchell Trio in Los Angeles into Bobby Darin’s band before landing at the Brill Building in New York City. It was there McGuinn first heard the Beatles and recognized the folk-chord structures they used. Alone in his vision to marry folk with the British Invasion, McGuin fled the Greenwich Villagescene for the Troubador in Los Angeles where he met Missouri native Gene Clark and group that would become the Byrds were born. Each adventure was illuminated by a musical representation of the time, from the Limeliter’s “There’s A Meeting Here Tonight” and Joan Baez’ “Silver Dagger” to “You Showed Me,” the first song McGuinn and Clark wrote together, which later became a Top 10 hit for the Turtles. McGuinn performed most of the set seated on a piano bench at center stage. The only musician onstage, he was surrounded by four instruments, an acoustic and electric 12-string guitar, a 7-string guitar and a banjo. The open cases around him made McGuinn look like a posh busker. The crowd relished every note and story. The room was often so quiet you could hear McGuinn’s pick hitting the strings. He frequently had to prod the audience to get involved, even singing the chorus on major songs like “You Ain’t Goin’ Nowhere,” another Dylan cover. Set List: My Back Pages; She Don’t Care About Time; Leave Her Johnny, Leave Her (Time For Us To Leave Her); Old Blue; Chestnut Mare; Pretty Boy Floyd; Rock Island Line; Heartbreak Hotel (excerpt); Unknown Spiritual; There’s a Meetin’ Here Tonight; Silver Dagger; Gambler’s Blues (aka St. James Infirmary); The Water Is Wide; You Showed Me; Mr. Tambourine Man; You Ain’t Goin’ Nowhere; Mr. Spaceman; Dreamland; Up To Me; Eight Miles High; Turn, Turn, Turn. Encore: Feel A Whole Lot Better; Bells of Rhymney; May The Road Rise To Meet You.